Gregory Scott Koons is a junior at the University of Pennsylvania, majoring in English with a Concentration in Creative Writing. Gregory, who currently has a 3.7 GPA, was named to the Dean’s List for the 2016-2017 year. His interests include Food and Water Security and the societal effects of Globalization on the US Democracy and US citizens. Before enrolling at the University of Pennsylvania, Greg attended Harrisburg Area Community College, where he was a member of the Honor Society. He was the treasurer of the group, Student Inquiry, Student Action, the recipient of the Richard McClaren Scholarship, and was recognized for outstanding leadership and dedication to student development and the college community. Currently, Gregory is the Project Lead for the Publications Team for the Think Tanks and Civil Societies Program, led by Dr. James McGann at the University of Pennsylvania. Previously, he served as a team member on the United States Research Team as well as on the Publications Team and was instrumental in helping Dr. McGann prepare two books for publication, “Think Tanks and Emerging Power Policy Networks” (Spring of 2018 – Palgrave MacMillan) and “Think Tanks, Foreign Policy, and the Emerging Powers” (Summer of 2018 – Palgrave Macmillan). After graduation, Gregory hopes to become a freelance journalist and work for a think tank in in either Washington DC or Asia. Available for a Full-Time Internship in the Summer of 2018. Saxon Bryant is a freshman at the Wharton School of the University of Pennsylvania. He is studying Economics with a concentration in business economics and public policy, and political science. He is currently interested in trade, foreign policy, and international law. He has worked in the past with the Colorado Youth Advisory Council, advising state legislators on various public policy projects. On campus he is involved with the Penn Wharton Public Policy Initiative as Head of Publication and the Penn Undergraduate Law Journal as an associate editor. He is also conducting research with a professor into power-sharing political systems and creating the first global database of secessions and partitions during 1900-2000. Currently, Saxon is a project lead for the Think Tanks and Civil Societies Program led by Dr. James McGann at the University of Pennsylvania and the Foreign Policy Research Institute. He leads a team of research interns in putting together a literature review on the current status of food and water security. In this capacity he manages and edits the research of other interns in reviewing academic scholarship, government reports, and think tank publications surrounding food and water access worldwide. at the School of Social Policy and Practice. He is interested in the intersection of technology and policymaking, including smart city initiatives, machine learning, and big data applications. Gian is currently a research intern for the Think Tanks and Civil Societies Program led by Dr. James McGann at the University of Pennsylvania and the Foreign Policy Research Institute. 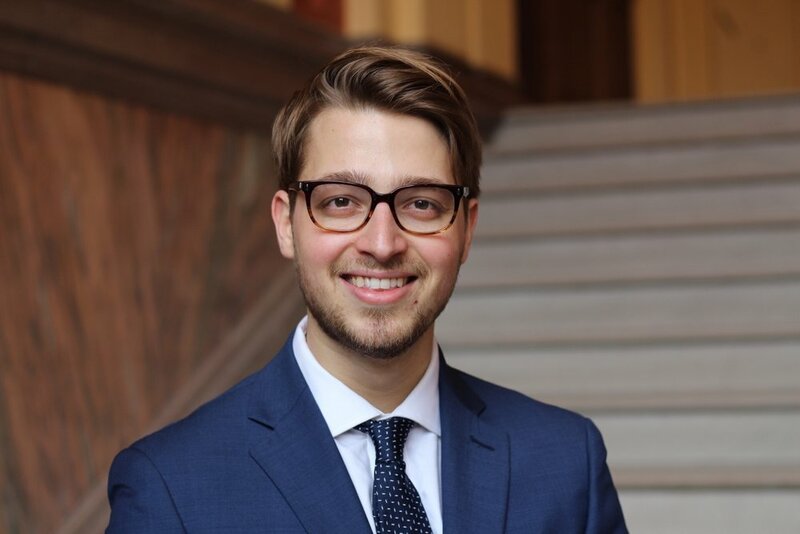 Gian is also currently a research assistant at Actionable Intelligence for Social Policy at the University of Pennsylvania, an initiative that utilizes integrated data systems for policymaking. Gian spent the summer as a City Council Fellow in Philadelphia’s City Hall as a legislative aid for a city council member. He spent the first year of his Master’s as a group facilitator for Iraqi and Syrian refugees at Nationalities Service Center. He has also worked on the production of two podcasts, the Work and Life Podcast with the Wharton Business School’s Dr. Stew Friedman, and Gian’s own production, Philly Social Justice. Gian traveled extensively throughout Eastern and Central Europe while studying abroad in Budapest, where he studied cognitive neuroscience and psychology. He has also traveled throughout major cities in China, studied in Copenhagen, and set up health clinics in the Honduran countryside. Sara Gormley is a junior at the University of Pennsylvania, studying Psychology and Gender Studies with a minor in Spanish. She has interests in human rights law, foreign policy, and social justice and is looking to work in public policy in Latin America. Sara is currently a research intern for the Think Tanks and Civil Societies Program led by Dr. James McGann at the University of Pennsylvania and Foreign Policy Research Institute. Sara has spent time working for various nonprofits in Philadelphia, including the Women's Campaign International with former congresswoman Marjorie Margolies and HIAS Pennsylvania where Sara works as a Refugee Resettlement Intern. She is Co-President of Active Minds Penn, an organization committed to spreading mental health awareness, and has spent time as a volunteer teaching assistant in West Philadelphia with Moelis Access Science. After studying abroad at the University of Otago and working as a research assistant at the National Centre for Peace and Conflict Studies, Sara spent time traveling around New Zealand. To speak with Sara, please contact Dr. McGann. Tyler Knox is a sophomore in the Wharton School from Campbell Hall, New York. He intends on concentrating in Legal Studies and Business Ethics and Finance while minoring in International Relations in the College of Arts & Sciences. He is a part of the Public Policy Research Scholars program specializing in Trade Policy. Tyler is particularly interested in how policymakers can play a role in promoting scientific discovery and commercialization. He is also beginning to study the policy sphere around emerging defense and military technologies, an interest that led him to pursue studies in international relations. Beginning in his freshman year, Tyler began serving as a Research Assistant for Professor Michael Horowitz, an associate professor of political science at Penn. In this capacity, he conducted research on ballistic missile proliferation by contributing to a data set on all the ballistic missiles possessed by the world’s nations. In addition, as the Vice President of Marketing for the Public Policy Initiative Student Group, Tyler has directed marketing strategy, developed promotional materials, and managed social media platforms for the organization. In the fall of 2017, Tyler had the opportunity to intern with the U.S. Securities and Exchange Commission. Working in the Philadelphia Regional Office, Tyler assisted the Office of Enforcement in investigating potential securities fraud by conducting research on creditworthiness of private equity firms and accounting regulations for hedge funds, for example. This summer, Tyler will be interning at Morgan Stanley in New York, NY as a Sophomore Summer Analyst in Wealth Management. Currently, Tyler is a research intern for the Think Tanks and Civil Societies Program led by Dr. James McGann at the University of Pennsylvania and the Foreign Policy Research Institute. He contributes to the Food and Water Security Report by conducting research on emerging literature in global food and water security. In the future, Tyler plans to work in the financial services industry, combining his passion for the policy sphere with business. Kendall Bearly-Malinowski is a junior at the University of Pennsylvania, majoring in Philosophy, Politics, and Economics with a concentration in Globalization and minoring in Hispanic Studies. She has interests in international economic, political, and societal development, Hispanic studies, and foreign policy. Her Globalization concentration has focused on colonization in Latin America history and current global relations with Latin and Central America. Kendall is currently a research intern for the Think Tanks and Civil Societies Program led by Dr. James McGann at the University of Pennsylvania and the Foreign Policy Research Institute. Kendall spent the summer of 2013 working in Oaxaca, Mexico for a locally-based non-governmental organization and works on-campus as a board member and finance director for the Penn Society for International Development, managing the club finances and helping organize on-campus events to raise awareness of the current state of international development efforts and outcomes. 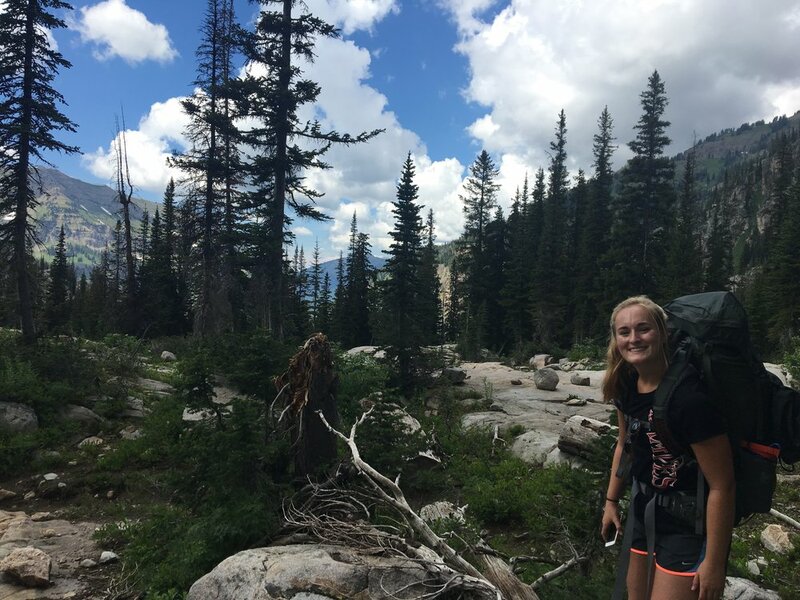 Kendall lived and worked in Mexico after volunteering and traveled extensively through Central and Latin America, Western and Central Europe, and Northern Africa. To speak with Kendall, please contact Dr. McGann. Hyunsun Ahn is a sophomore at University of Pennsylvania majoring in Economics and Political Science. She is the research assistant and coordinator of Think Tanks and Civil Societies Program and has been working for Dr. McGann since January of 2017. She is currently conducting research on private-sector think tanks, and has helped organize the Alternative Facts Summit in D.C. and Asia Think Tank Summit in Singapore. 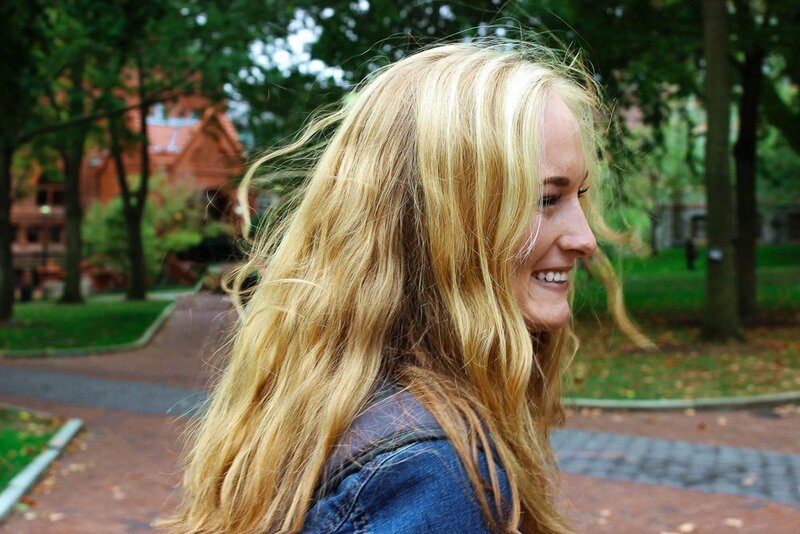 She is also the research and communications assistant at Penn Wharton Budget Model, where she analyzes UPenn faculty’s work on business and economics. Hyunsun Ahn is the President of Asian Law and Politics Society. She researches and presents on issues related to Asian Law and Politics, and organizes events for the greater UPenn community. She was on the Dean’s List of 2016-2017 for academic excellence at UPenn. She is fluent in Korean and English, and plans to continue her study on Chinese and Spanish. Lauren Kahn is a junior at the University of Pennsylvania, majoring in International Relations and a double minor in Economic Policy and American Public Policy/Business and Public Policy (APP/BPP). Through her studies, research, and abroad experiences, she has developed interests in economic and foreign policy, security and strategic studies, refugee and asylum-seeking populations, and how innovations in science and technology impact war. Since her sophomore year, Lauren has been a research assistant for both Michael C. Horowitz in the Political Science department and M. Susan Lindee in the Science, Technology, and Societies department at the University of Pennsylvania. With Professor Horowitz, she spent the summer and fall of 2017 leading a team of 6 research assistants in conducting research on the proliferation of precision guided munitions and creating and managing a data set of over 1200 entries, and assisted with other projects on drones, fighter aircraft, and C4ISR. She plans on further assisting Professor Horowitz in 2018 in mapping the first telegraph connections between countries. She spent the same summer assisting Professor Lindee to finalize the manuscript for her book on the intersection of science, technology, and war, as well as other forthcoming journal publications. Additionally, she worked on finding, assessing, and synthesizing primary-source material for her class, Science, Technology, and War, on topics ranging from scientific management in hospitals during WWI, internationalism in science and its collapse during the world wars, the militarization of science and medicine, technological distancing, and medical and scientific ethics. Lauren is also currently a research intern for the Think Tanks and Civil Societies Program led by Dr. James McGann at the University of Pennsylvania and the Foreign Policy Research Institute, and serves as peer advisor for the IR major, as student president of the Penn branch of Meor, as well as an advisor on various Hillel program boards. To speak with Lauren please contact Dr. McGann. Katherine Poole is currently a sophomore at the University of Pennsylvania. She is studying Politics, Philosophy, and Economics (PPE) with an emphasis in public policy and governance in the College of Arts and Science and America Public Policy in the Wharton school. As a result of her studies, Katherine has developed a passion for the potential of government policy intervention within conflicts both domestic and international. Specifically, she focuses on economic and health policy and the prospective effects it may have on improving international human welfare. Katherine is originally from Boise, Idaho where she was intensely involved in local politics. In 2016, Katherine served as an Idaho House of Representatives Page for the legislative session. In such, she oversaw House floor proceedings and organized daily Health and Welfare committee conferences. Furthermore, Katherine interned for Idaho State Representative Ilana Rubel during both her 2014 and 2016 campaigns canvassing and phone banking frequently. Under Representative Rubel’s guidance, Katherine also worked at the Idaho Department of Labor in assisting developing a co-op University computer science education program. On-campus, Katherine works as a copy-editor for 34th Street Magazine – a subset of The Daily Pennsylvanian – as well as mentors an elementary school aged little as a part of the Big Brothers Big Sisters Philadelphia chapter. Furthermore, Katherine serves as a research intern for the Think Tanks and Civil Society Research Group under the leadership of Dr. James McGann. Specifically, Katherine leads the Research and Publications team and is currently conducting research and editing Dr. McGann’s highly anticipated publication Think Tanks—The New Policy Advisors in Asia due for release later this year. To speak with Katherine please contact Dr. McGann. Justin Melnick is a sophomore at the University of Pennsylvania, majoring in International Relations and Economics. His interests include international political economy, models of international trade, and foreign language, with a focus on China and the development of the Chinese economy and foreign policy. He was selected to participate in Penn Abroad’s Spring 2018 Penn Global Seminar: Chinese Technology and Business in Society, which takes a trip to China during spring break. Justin has primarily used his linguistic skills to pursue opportunities in business, teaching, and court interpretation. Justin spent the summer of 2016 working in Guangzhou, China for Party City Holdings, Co. as a liaison between factories producing Halloween costumes and international wholesale offices. He spent the summer of 2014 teaching English in Kunming, China, and worked as an interpreter for the State of New Jersey during the summer of 2017. Outside of the classroom, Justin is a research intern for Dr. James McGann’s Think Tanks and Civil Societies Program, an advocate for mental health awareness as part of Active Minds, and is an associate editor of Penn’s literary magazine, The Penn Review. He is also an associate editor for the Sigma Iota Rho’s academic journal, the Journal of International Relations, and is a student writer for Trade Finance Global, a trade and debt financing company that runs an international trade blog. To speak with Justin please contact Dr. McGann.